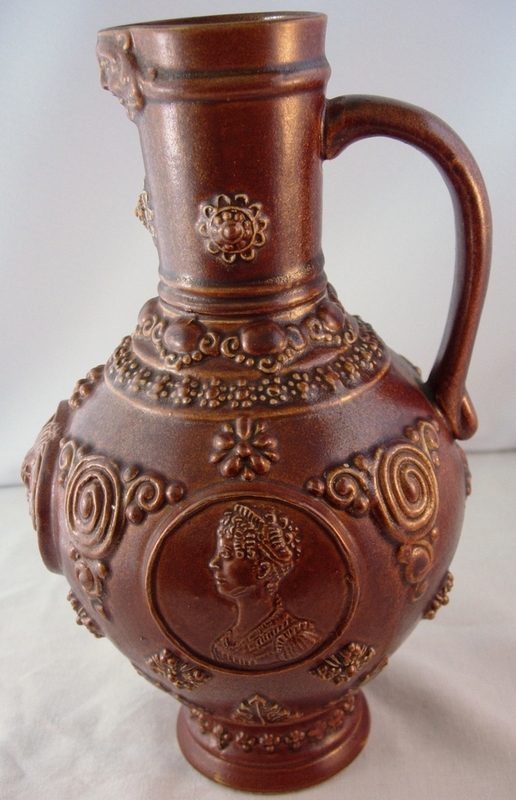 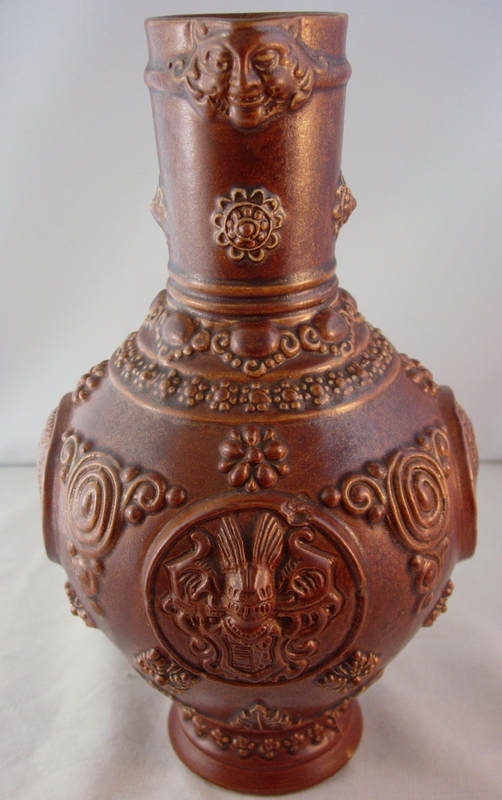 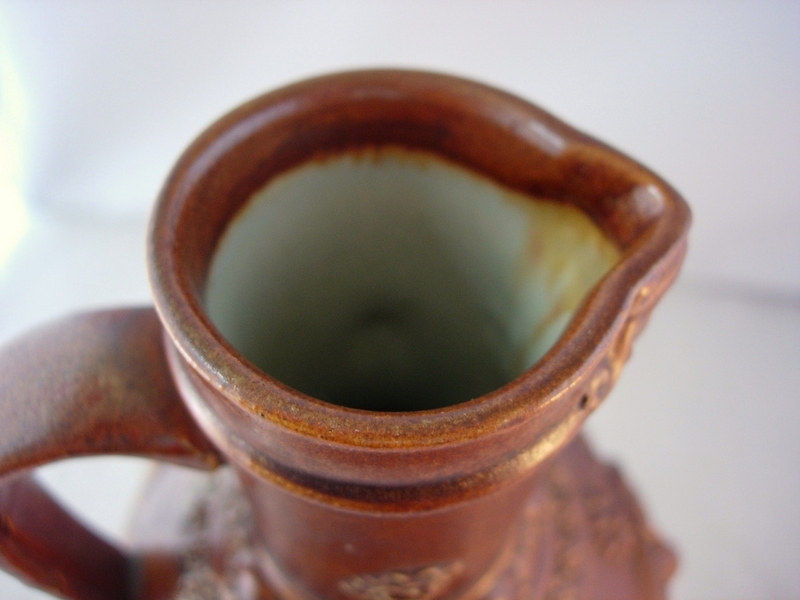 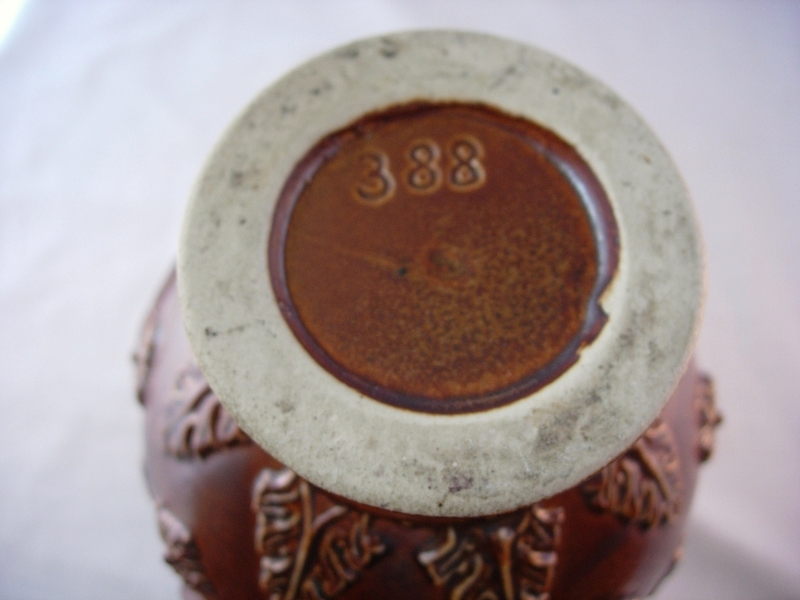 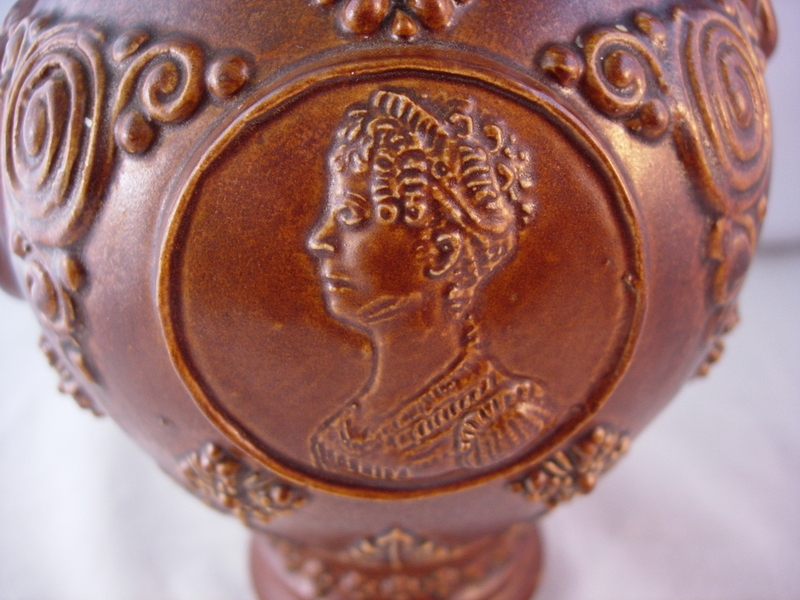 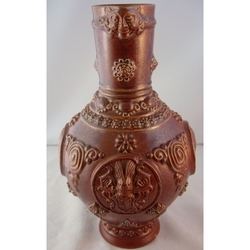 Description: The jug is 22cm high and has the number 388 incised to the base. 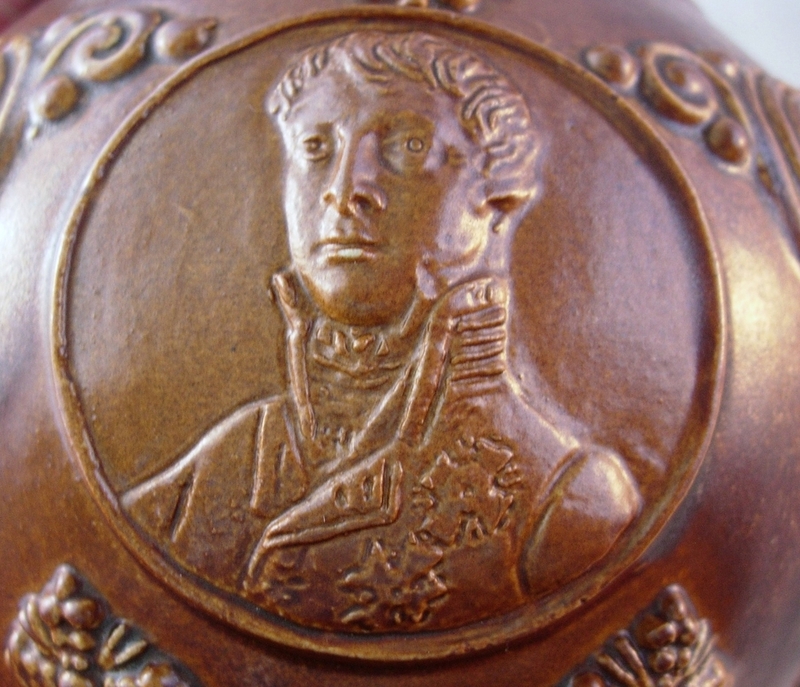 The central crest has not been identified nor have the two figures, though the man appears to be wearing regency dress with medals affixed thereto. 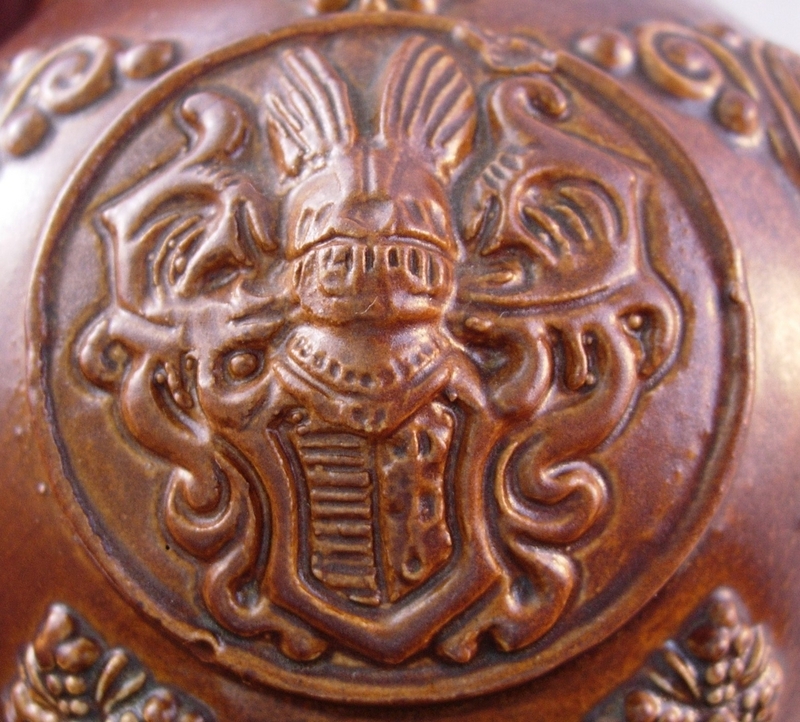 The helm on the crest is facing forward. 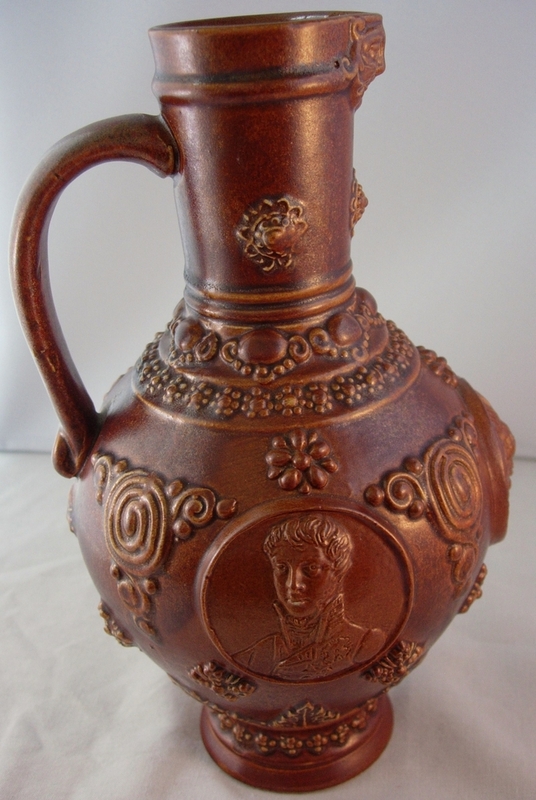 Can you help identify the crest, the people depicted and even possibly the maker?